Many investors not having much experience, due to absent-mindness, tend to forget of certain applied details, such as switches or electrical outlets. But all the experienced designers are aware of their importance. These are just details, but a lot depends on them. Top quality switches are primarily functional and safe point of the grid. This is important because the best arrangements one must also take care of both functionality and safety. Secondly, sockets and switches provided by the best producers are made of high quality materials and the corresponding colored pigments produced in the modern industrial lines. The result is a very durable and aesthetic products. This is extremely important, because the effect of a carefully planned arrangement is very easy to spoil, if you use the wrong functional elements. ABB switches are made of pure and durable materials that it’s hard to compare it to other materials. Design refers to the natural beauty. An additional advantage is clear and minimalist form, excellent execution. All this means a new quality: the perfect combination of aesthetics, functionality and durability. What’s more, fingerprints leave no trace on the surface of the switches. In everyday use, its appearance remains impeccably unchanged. ABB is one of the largest producers of electrical equipment in the world. 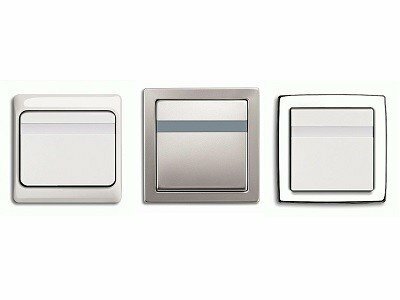 The company’s offer is very diverse and includes all possible components, but in the interior the most important are undoubtedly switches. This is one of those items which are noticed by most investors at the very end – in fact, simple functionality and little role in the creation of design make it easy to overlook this important detail.